The F. A. Peabody Company made two recent promotions as a result of a change to its management structure. HOULTON, Maine — The F. A. Peabody Company made two recent promotions as a result of a change to its management structure. 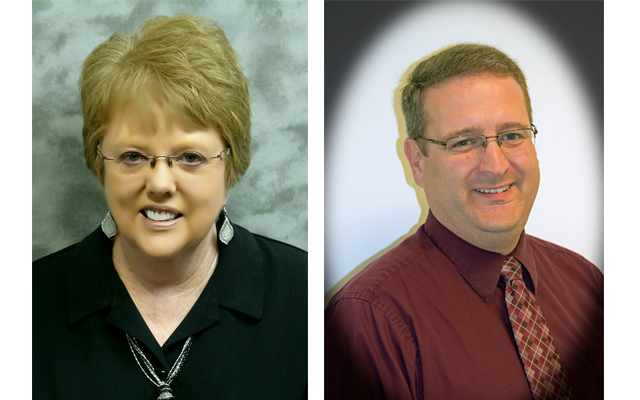 Chris Anderson, FAPCO president, has announced the promotions of Troy Heald of Caribou to become regional manager of the new Northern Aroostook division and Mary Cray of Mattawamkeag as regional manager of the new Northern Penobscot division. According to Anderson, small yet growing offices in rural Maine present challenges to the retail insurance industry and many other types of retail businesses faced with maintaining a physical presence in small communities while competing on a national stage. “We have seen retailer after retailer struggling in today’s world of lightning fast technology forcing a consolidation or even worse, an elimination, of services at the local level,” said Anderson. “Insurance retailing is no different. Products are promoted and sold from all corners of the country today and through various media. The first step to keeping service local is to manage locally,” he said. Anderson said he believes a regional approach to management will help the company be more responsive with smaller offices working together as a team to coordinate everyone’s skills and resources. Technology plays a key role in working efficiently without having to consolidate services away from the local community. “With adequate broadband capabilities and a recent large investment in agency software, FAPCO is able to support our smaller offices while maintaining the economies of scale to survive financially,” Anderson stated. The Northern Aroostook district is made up of the Caribou and Madawaska branch offices and NorState Insurance Services, a credit union insurance service organization managed by FAPCO. Heald will now oversee seven employees. He is a certified insurance counselor and has been a part of the northern Maine insurance community for 24 years, employed with FAPCO for 18 of those years in both sales and service. Heald resides in Caribou with his wife, Marcy, and son, Martin. He also has a daughter, Hannah, who is a college student in New Brunswick. The Northern Penobscot district is made up of the Lincoln and Sherman branch offices. Cray will oversee 11 employees by combining these offices. A certified insurance counselor, Cray has worked in the industry for 38 years. She has been with FAPCO and a part of the Lincoln community since 2015 as branch manager and personal insurance service agent. “Her depth of industry knowledge and strong people skills will benefit the staff and clients of the area,” said Anderson. She resides in Mattawamkeag with her husband, Wesley, and their beagles. They have two grown children, Donnie and Amanda.